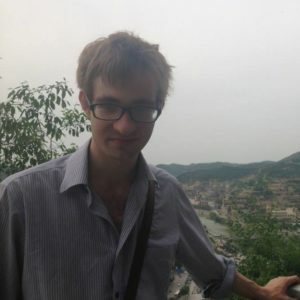 Ben Kindler is a student of the cultural politics of the Chinese Revolution. In particular, he is interested in the ways that Chinese activists and intellectuals thought through the question of labour across China’s twentieth century. He is currently preparing a PhD project on the relationship between labour and culture from the 1920s up to the early socialist period, in which he tracks the reconfiguration of cultural production as itself a form of creative labour via the figure of the “communication worker”, together with the aestheticization of material labour and the working-class body through radical cultural production. His interests encompass the varied media of prose literature, performance studies and film. Beyond his current project on labour, Ben is also interested in the complex legacies of Soviet socialism during the Mao and post-Maoist eras, internationalist projects of cultural production during the Cold War era, particularly those between the People’s Republic and Vietnam, as well as issues of historical memory in the contemporary People’s Republic.